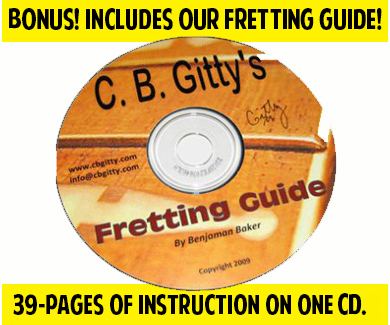 The All-In-One Fretting Starter Kit: Everything you need to set up your own fretting station in your shop! We've had many customers ask us for an all-in-one setup for fretting instruments, and we've put together a great deal that will save you a nice chunk of change when you purchase this package. Individually, all these items would cost well over $130.00, but you can get them in this package for just $99.99. That's a great savings! 6pc. set of Fretboard Filing Guards - Perfect for protecting your fretboard while working on individual frets! High-quality Fret Slotting Saw - 18TPI - Made in the USA!